A Page Is Turned: Happy Halloween! I am that mom. The one that really, really pushes for themed Halloween costumes. I can't help myself. I just love it when the boys dress in a theme. This year was no different. I suggested 100 different ideas and in the end, Will desperately wanted to be Robin and James agreed to be Batman. The store-bought super hero costumes are never my favorite, but I actually sort of love these, plus - they were PUMPED. You would've thought they'd won the lottery when they came in this week. Here's hoping I have at least a handful of years left that I can make them match at Halloween! We have a ton of ideas left! 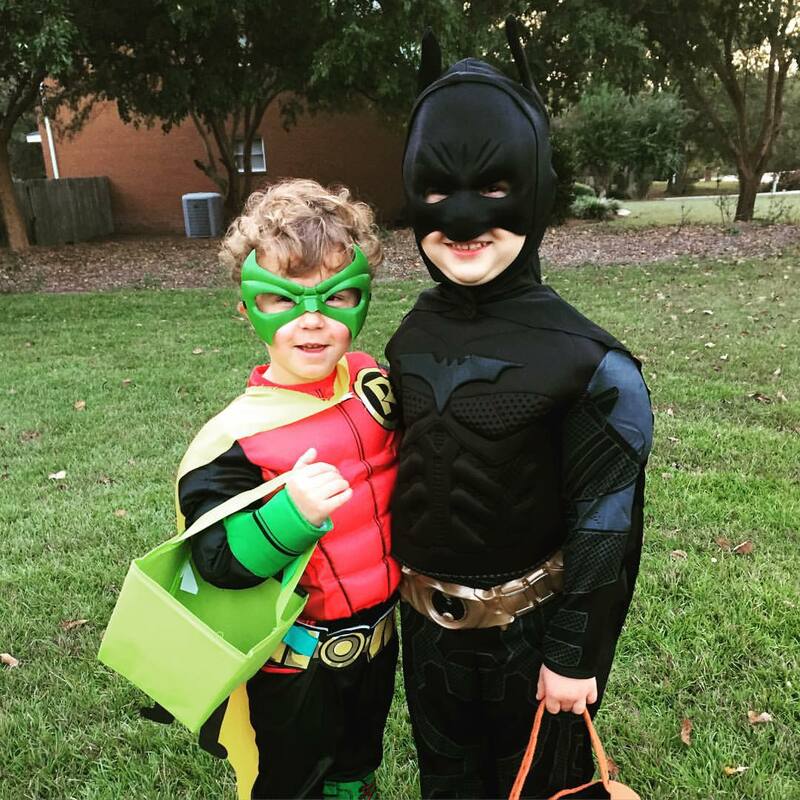 Cutest super heroes I've ever seen! !